We are a full service hydraulic distributor. We carry a complete line of hydraulic products. We carry hydraulic hose, hose ends, brass fittings, connectors, black pipe, clamps, oil, in-line swivels, and much, much more. 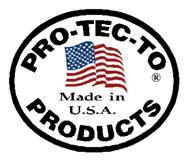 Click here for other locations where Kaman Industrial distributes Pro-Tec-To Products. Click here for Wisconsin locations. * Mississippi Welders Supply Co.
Mississippi Welders Supply is your one reliable source for welding supplies, safety equipment, power tools, gases, and more. We are located in Western Wisconsin, Southeastern Minnesota, and Northern Iowa. Our main office is in Winona, Minnesota. Many locations throughout the rest of the United States to serve you. Please click here to see other states where Motion Industries distributes Pro-Tec-To Products!